Southern Utah’s mild winters, breathtaking scenery and beautiful golf courses have been enticing retirees to relocate to this area for many years. 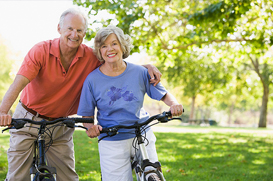 The area offers recreational opportunities which will keep any retiree happy, active and entertained. As the number of retirees relocating to Southern Utah increases, so do the communities specifically designed around senior living. These friendly communities allow its residents to interact with their peers in a low-key setting. You will never be bored with a golf course within walking distance or tennis courts at your disposable and good friends by your side. For more information about the different adult communities in Southern Utah, please contact a member of our team. We would be happy to discuss the advantages of each community and find a home that best fits your needs.